With a rationale to win customer's heart, we offer best quality Auto Door Lock for Elevator. These items are utilized for security purposes and are enormously requested in the business sector.The item in order to meet the exclusive requirements for our customers. We complete legitimate quality check before dispatching the item. 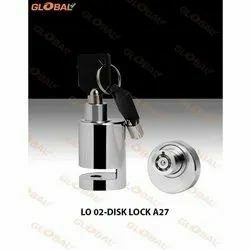 We are amid the most noteworthy names engaged in offering to our clienteles an extensive collection of Brass Auto Lock. 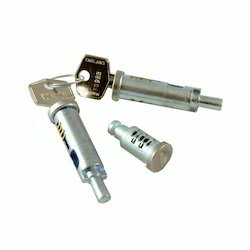 We are one of the prominent firms, engaged in offering a supreme quality range of Two Wheeler Locks. Backed by profound experience of our experts, we are an unparalleled name engaged in providing high quality assortment of Alarm HS Motorcycle Locks. Features: Extremely sensitive to the slightest movement The system can also start the engine by remote control The remote's operating range is 300 feet (max) It instantly responds by setting off a loud siren Package Contents: 1 x R.J.VON Blackcat Bike Security Alarm System with Remote.